Three-day minimum rental required to obtain the best rate- 24-hour advance reservation is required - Renter must meet minimum age of 25 - Credit card is required - Taxes, fees, insurance and extras apply. Only in Slow Season. Save up to 30% on 3 Day Special. Best rate guarantee Only in Slow Season! 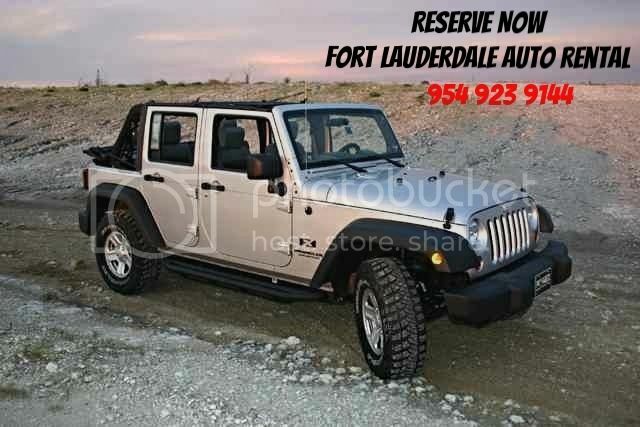 Don't pass up this offer, Rent a Jeep Wrangler today! The Jeep Wrangler remains the only convertible SUV with traditional 4 wheel drive on the market and its instantly identifiable. An undeniable favorite amongst everyone, that rides just as smooth on the road as it would through muddy fields. Offering you the best of both worlds with a 6 speed shiftronic automatic transmission.